CMS is a small business located in Orofino, Idaho specializing in camping and outdoor products. Bob Holzer started CMS in 1979. Before the invention of the Rolla Roaster marshmallow roasting stick he was in the business of rebuilding hydraulic jacks and custom machine jobs. CMS stands for Custom Machine Shop. When he first started his shop was a lean to off his single wide trailer along the Clearwater River where he lived with his wife Jan. Today he has a full shop and CMS employs 2 full time employees. In 1980 Bob invented the Rolla Roaster while enjoying marshmallows roasted in their fire pit. He thought of a way to make roasting marshmallows and hot dogs easier. 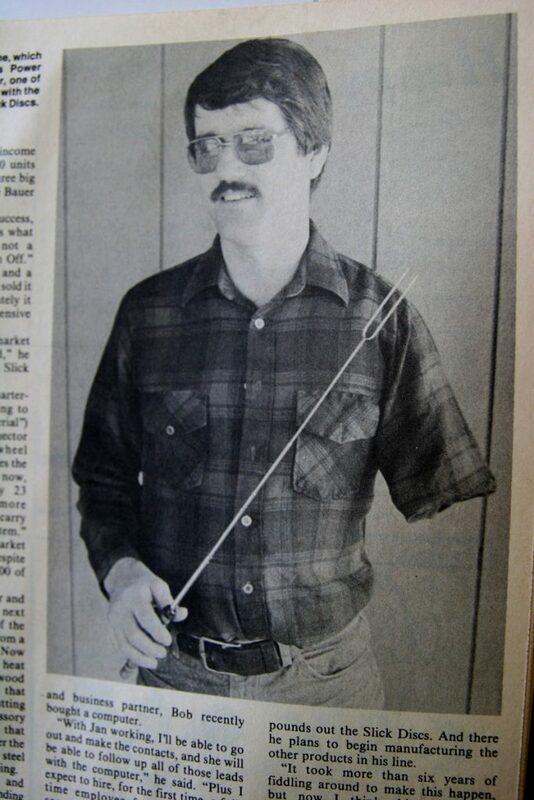 Since Bob lost his arm to polio at a young age his inventions are made to be easily operated with one arm. 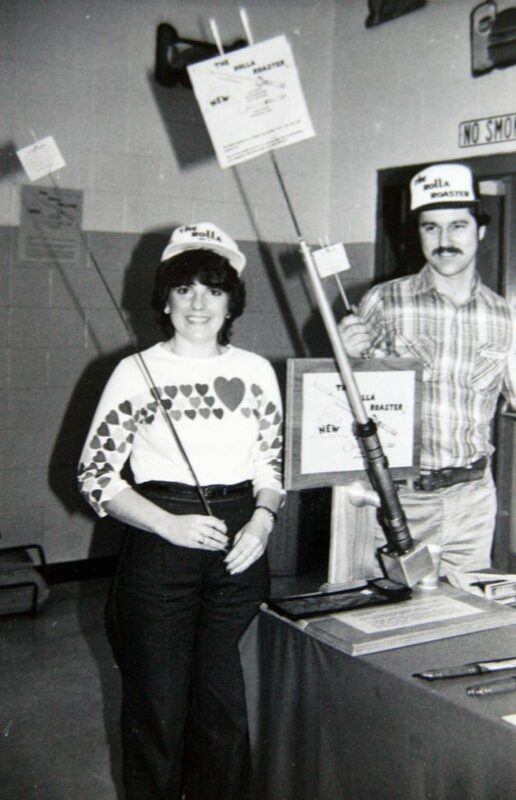 The Rolla Roaster was such a hit with friends, he was encouraged to start selling them. The first ones were made in the small shop, with rabbit ear tv antennas and a welded on fork. After selling 500 before Christmas that year Bob started selling the Rolla Roaster in local stores and then started calling mail order companies. Since then the Rolla Roaster has appeared in REI, Restoration Hardware, Eddie Bauer, Sportsman Market, LL Bean, as well as others. He also sold 5,000 during a Kraft Marshmallow promotion. Currently KOA campgrounds are Rolla Roaster enthusiasts. Many KOA franchises sell Rolla Roasters at their campgrounds across the country with a custom logo attached. They are the only customer so far to take advantage of laser engraving their logo on the Rolla Roaster handle. The Innovation has not stopped! Bob has also invented the “New Folding Fork”! This new invention has all the great qualities of the original Rolla Roaster marshmallow roasting stick. It is heavy duty and the stainless steal fork flips back over the handle for safety. The Folding Fork fits nicely into a black nylon case you may wear on your belt. Bob has done more that just the Rolla Roaster! He’s an inventor and you can’t hold a good inventor down. Over the years Bob has helped several people with their invention development. Bob also invented the Slick Disc for RV 5th wheel trailers in 1985. The Slick Disc is the only lube plate made in the USA that has a quality guarantee. CMS Manufacturing is a family run business and its goal is to have every camper with a Rolla Roaster marshmallow roasting stick. 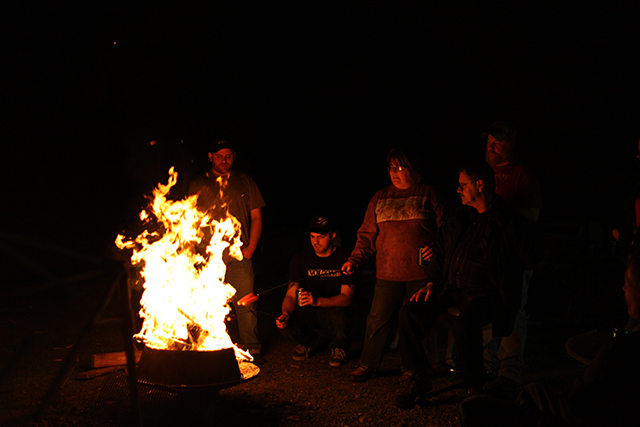 They believe quality of life improves when people gather around a campfire and enjoy each others company.